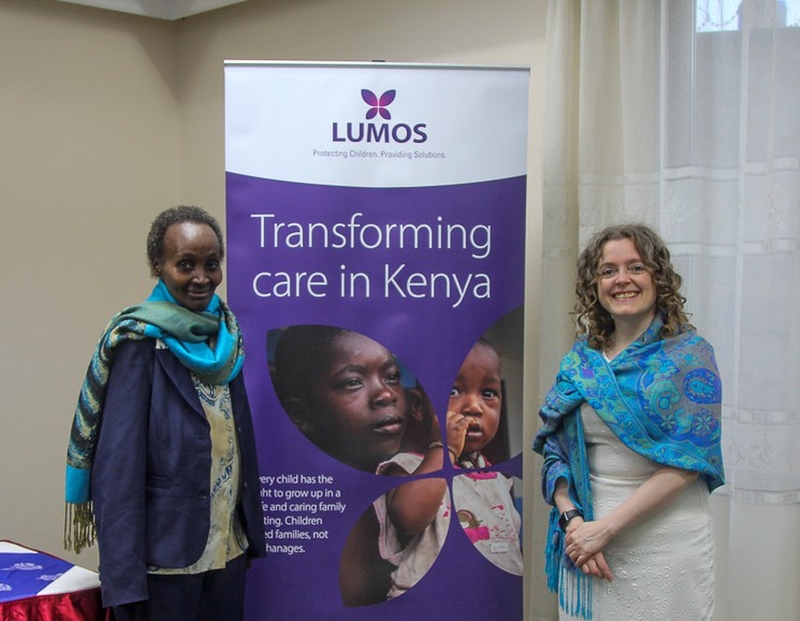 The Department of Children’s Services (DCS) yesterday began its first-ever course for government officials, NGOs and practitioners working together to move children from Kenyan institutions into family-based care, in partnership with Lumos, an international NGO set up by author J.K. Rowling. The three-day training course will provide the foundations to support this transition for the officially estimated 43,000 children currently living in Charitable Children’s Institutions (CCIs)[i]. Almost 60 participants attended the opening day. The two following days will also include panels and presentations from a range of partners including Catholic Relief Services, Maestral, The Kenyan Society for Care Leavers, Give a Child a Family, amongst others. The training is a further indicator of the Kenyan Government’s long-held commitment to solutions that transform care for vulnerable children. In recent years, huge progress has been achieved, paving the way for deinstitutionalisation, including the publication of the Guidelines for the Alternative Family Care of Children in Kenya (2014), and the creation of the Technical Working Group on Deinstitutionalisation, led by DCS. In addition to the three-day training, Lumos CEO Georgette Mulheir will also deliver a talk ‘In Our Lifetime: From Institutions to Families’ to a selection of high-level delegates, including government officials, NGO Directors, UN agencies, academia and diplomatic missions. The talk will showcase examples of how different countries have successfully transitioned to family and community-based care. This will take place in Nairobi on Friday 11 May at the Jacaranda Hotel, and media are welcome to attend. According to DCS September 2012 data, there are over 700 CCIs in Kenya, housing approximately 43,000 children. Out of these 700 institutions, 591 are legally registered. However, the exact number of CCIs and children housed in CCIs is unknown, and the figures might be much higher, since many CCIs are unregistered and and not all children have court committal orders. Source United Nations Children’s Fund (UNICEF) & the Republic of Kenya (2014).